Wow this is absolutely insane offer! The lowest price of flights to Cuba in history! 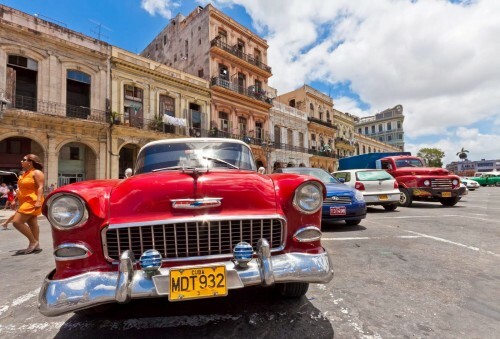 Last minute return flights from Cologne/Bonn to Havana are now available for only €90! If you want to spend Christmas in Cuba don’t wait a single second and book these tickets now, the availability is very limited! 20 kg luggage is included in the price as well! Use Momondo to find connecting flights to Cologne from any airport in Europe or take cheap Flixbus bus. These are also DIRECT flights so you do not waste any time with transfers! The website of LTURfly is right now seriously overloaded by all the customers who want to book the tickets so please be patient. Hurry up and book your ticket NOW! Use Google Translate in case you don’t understand the site. « WOW! Dirty cheap flights to Iceland: Reykjavik from Warsaw for €49!